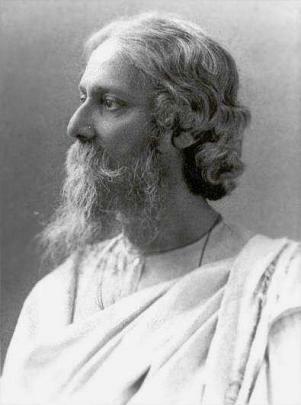 The Indian Institute of Performing Arts (IIPA) and associating friends will host an event entitled “Rabindranath: Universe and Beyond” on Sunday, June 1, 2008 at the George Street Playhouse in New Brunswick, New Jersey. The program (2PM – 8PM) will celebrate the multifarious output of India’s Nobel Laureate poet, philosopher, composer Rabindranath Tagore, and attempt to expand the boundaries of appreciation of his literary and musical work through performances by different cultural groups. For further information, visit http://www.iipa.us/Rabindranath. I’d like to notify some of ECTA’s (Ethnomedia Center for Theater Arts) upcoming shows. Those of you who have missed our play “Satyameva” at the Edison Valley Playhouse, you may catch the show on April 26th 5.30pm at the Gwyn-Nor Elementary School, 139 Hancock Road, North Wales, PA 19454 . The show is hosted by Pragati of Greater Philadelphia. ECTA has been invited to participate at the California Bay Area Natyamela to be held on June 7th at the Amador Theater, Pleasanton, California. ECTA will be staging their latest production, a one act play titled “Taconic Parkway”, at this venue. The play is written and directed by Sudipta Bhawmik and the cast includes Pinaki Dutta, Indranil Mukherjee and Keka Sirkar. Please inform your friends and family in the area to attend the festival and watch our play. ECTA (Ethnomedia Center for Theater Arts) is looking for two actors for their upcoming theater production (“Baanaprastha” written by Sudipta Bhawmik and directed by Indranil Mukherjee) to be staged in fall 2008. A brief description of the characters are given below. Interested person may please contact by email to either indymukh@gmail.com or bhawmik@gmail.com. Actors may be called for a brief audition. Character A: Bengali speaking male, mid to late twenties, tall and thin built. Character B: Bengali speaking female, late teen – early twenties. Actors must be committed to the rehearsal schedule and all stage productions of the show and should posses the passion to act. Please note that this is a voluntary service and ECTA will not compensate the actors or the crew either financially or by any other means.